Built to be safe and effective. Legs and Frame in tubular steel. Hanging panel with image & text to both sides. Easy to replace the panel if required. 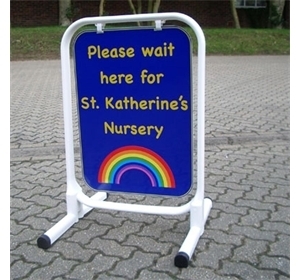 Full colour image or text to both faces. Available with white frame or can be painted. 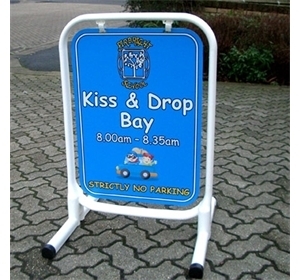 The 'Edinburgh' model of pavement sign is a versatile way to advertise your event or to be temporary signs when needed. 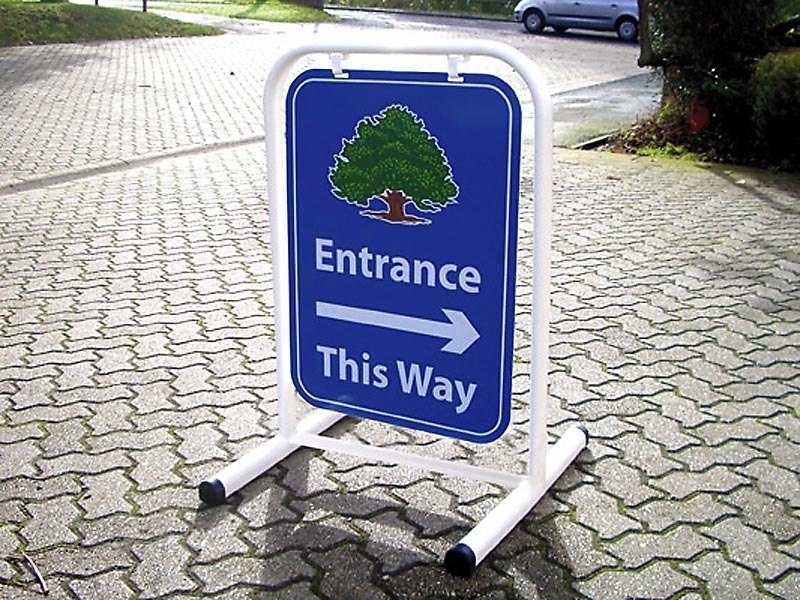 The panel is white aluminium with radius corners and your image and / or text message printed to the faces. 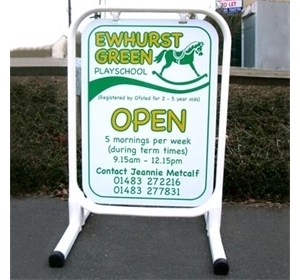 The frame is standard white or can be painted to any standard Ral colour for a small additional charge. 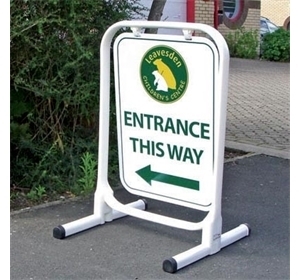 This pavement sign is lightweight but stable and is easy to carry. 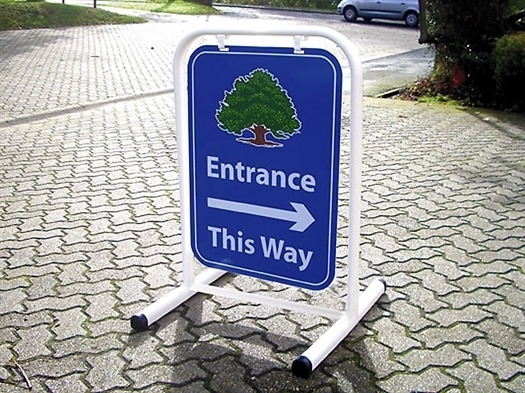 Costs include design, artwork and printing to both sides of the panel.